Feiwel & Friends, 9781250172969, 304pp. 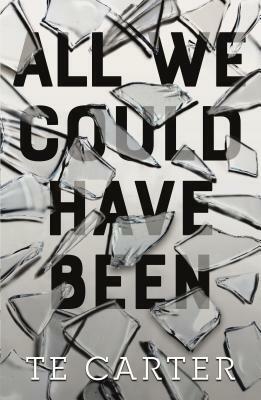 From TE Carter, All We Could Have Been is a powerful and heartbreaking look at the assumptions we make about people and how one person’s actions can affect everyone around them. Five years ago, Lexi witnessed something that shattered her very core. To cope, she moves from town to town, desperate to hide the darkest of family secrets. In every location, she assumes a new name and flies under the radar as long as she can before anyone figures out who she is—who she’s related to. Lexie now lives with her aunt, has minimal interaction with her parents, and has no communication with her brother. But the pain is always there. After starting her newest school, all she wants is to just live life. But how can she when the past keeps threatening to drag her back? TE Carter was born in New England and has lived in New England for pretty much her entire life. Throughout her career, she’s done a lot of things, although her passion has always been writing. When she’s not writing, she can generally be found reading classic literature, obsessing over Game of Thrones (she’s one hundred percent Team Lannister), playing Xbox, organizing her comic collection, or binge watching baking competitions. She continues to live in New England with her husband and their two cats. I Stop Somewhere is her first novel.